Want an upsurge in readers without implementing e-commerce tactics? 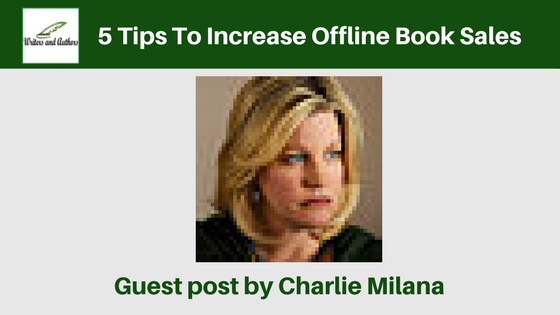 Read this article to increase offline book sales by following these 5 amazing tips! In this digital era, every business prefers to utilize the latest marketing trends presented by e-commercialism. E-commerce is quite convenient, as it allows marketing, selling, purchasing and monetary transactions by simply using Internet services. But does it mean that offline marketing is dead just because e-commerce is providing simpler promotion methods? Well, the answer to that is ‘No’. I agree with the fact that the Internet provides us with many business advantages, but even so, an effective marketing method is the one that allows direct physical interaction with consumers. Just like other products, books also need publicity to attract readers. This article will describe 5 amazing tips to increase offline book sales so you don’t have to stick to the e-commerce methods of selling your content. An endorsement is basically a recommendation by well-known personalities. You must have seen shampoo advertisements in which gorgeous celebrities recommend you a certain shampoo for regular usage to get shiny hair like them. Well, they are actually supporting the product by approving and appreciating its benefits. Hence, the same can be exercised by authors. You can ask famous writers or popular scholars to endorse your book so that the readers will be drawn to it automatically. Just imagine if Shakespeare told you to read a particular book. Will you not read it if you are avid reader? Of course, you will go with his recommendation and get your hands on the book as soon as possible. The cover of a book is very important as it sets the first impression. Authors should design their books’ covers by using appealing pictures, catchy titles with thought-provoking quotes, and beautiful colors that go well with the essence of the content. Your book might contain the world’s best-written content but no reader will read it unless you attract him or her with its binding. Once they will find the cover appealing, they will buy it for a detailed reading. Thus, the more the catchy cover, the more copies your book will sell. Authors can also increase their volume sales by talking about their books on different platforms. They can organize pre-launch events at libraries, educational institutes, and even public parks to tell the people about their book and its whole background story. This way, authors can create a favorable relationship with readers by actively engaging with them. Once readers will find something interesting about your book through your talks, they will definitely go and buy it from book shops after the official launch. An author can also write an abstract and get it published to distribute among readers for free. An abstract will summarize your book in a few paragraphs, which will attract the readers and increase its sale. You can use newspapers, television channels and radio stations to publicize your book so readers can know about your latest release. It can also be done without spending a single penny because many newspapers and TV channels are eager to come up with exclusive news and so, they might cover your book launch for free. By Charlie Milana, who is a marketing manager in a public library of Italy. She received her doctorate degree in marketing management from Edinburgh, Scotland, in 2015.